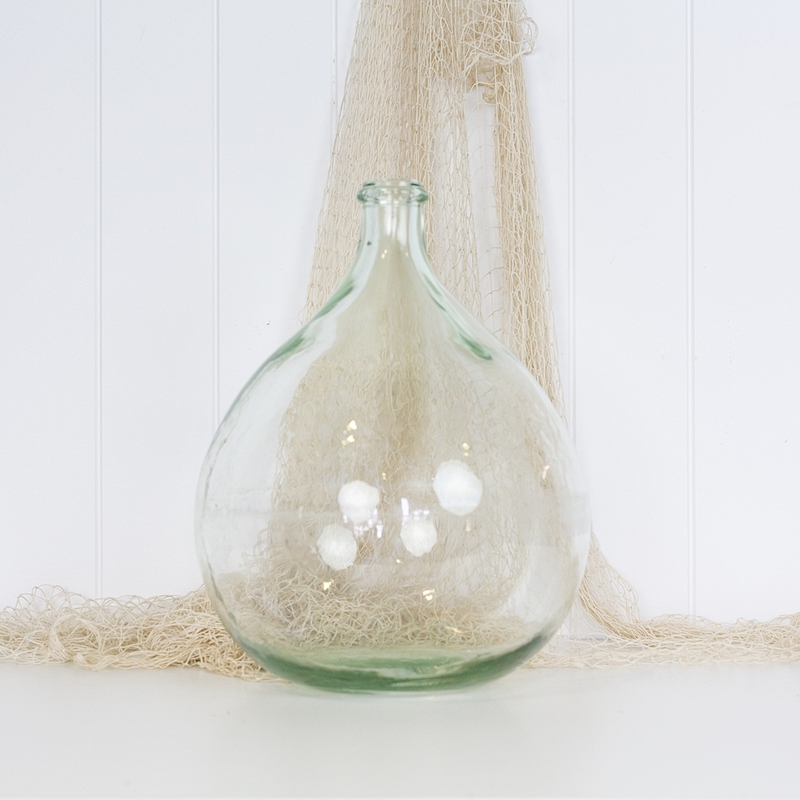 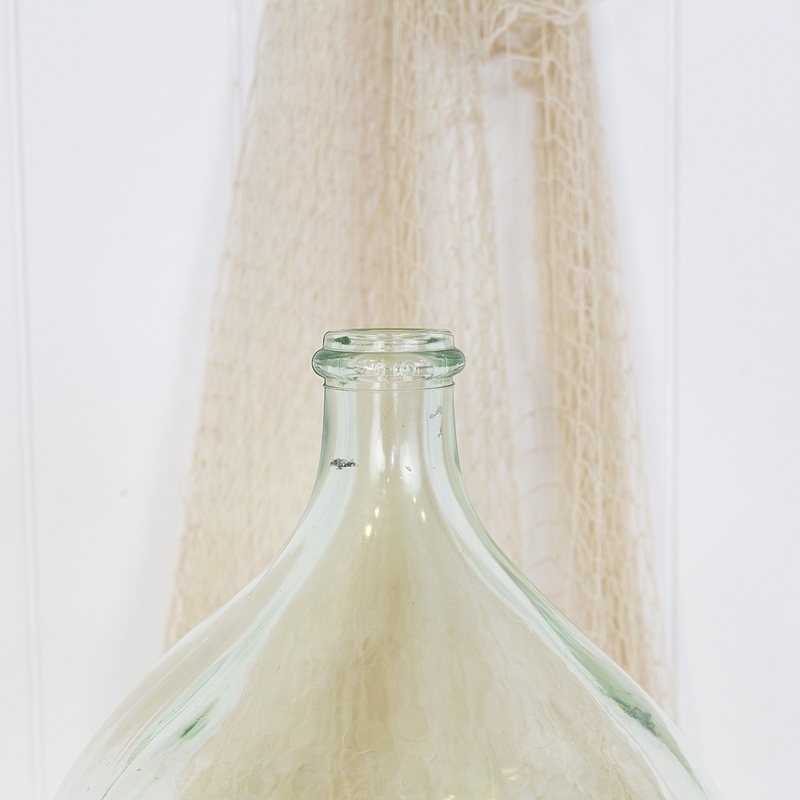 This sweet 10L demijohn is from France. 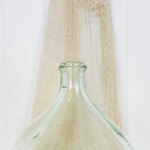 A wonderful clear colour, it looks beautiful with light shining through. 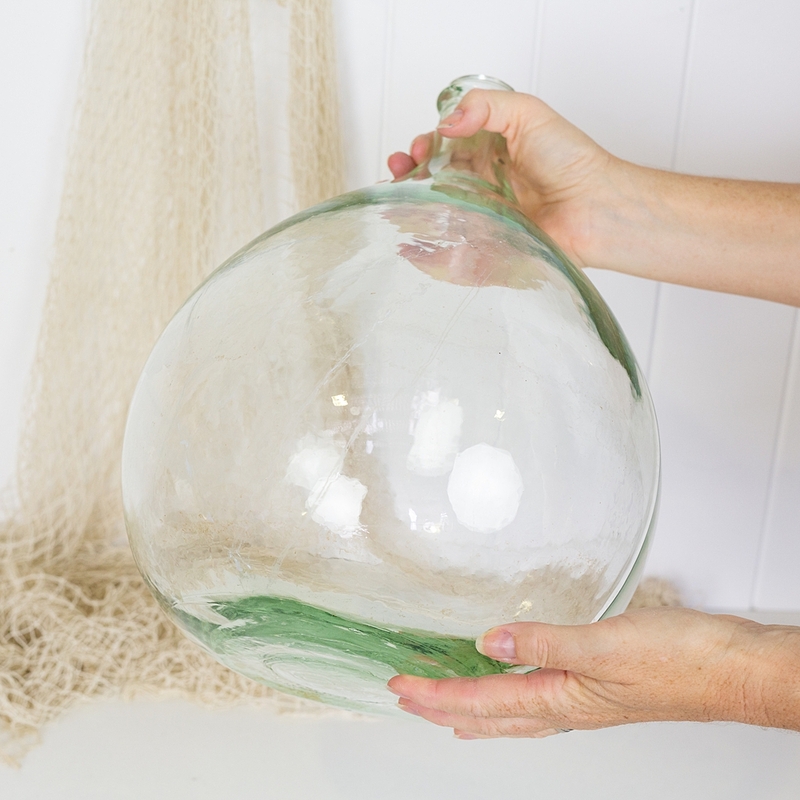 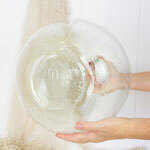 Most likely use originally for wine or olive oil, it would make a stunning vase or focal piece. Perfect coastal home decor, fill with palm fronds or tried cotton.